On 10/07/2013 my neurologist gave me a spinal tap. Results from the tap were 99% positive for MS. I worked for 9 years as a manager in an optical clinic for an eye doctor. I couldn't see well, walk well and talked awful for several months. Even my eye doctor I worked for couldn't make my vision any better. On 10/19/2010 I had to quit work, and it broke my heart because I loved my job and my boss and met so many nice people. On 12/07/2010 I began taking my shots (Avonex) for MS. My shots were weekly and I wasn't feeling great-only trying to function daily. In August 2013 my husband was bit from a tick and it broke off under his skin. He had to go have it surgically removed. The doctor gave him a heavy dose of antibiotic to prevent Lyme disease. From this medicine he got a bad case of diarrhea. My daughter told me to go to Cranberry Wellness Center and get him a supplement for the diarrhea. I was never in there before and saw all the bottles of supplements etc. and asked the girl after she got the supplement for my husband, "what is this place?" She then explained things about the place and what they did. My next question was "Do you see anyone with MS?" So I made my first appointment for 10/31/2013. I was cranky for my first appointment and said to myself "Take my shoes and socks off!?" But I took the supplements they gave me and came back 12/30/2013 and even apologized for my first visit for being cranky. Every month I felt better and went back to them every 2 months. I weaned myself off the MS shots (Avonex) in December 2013. 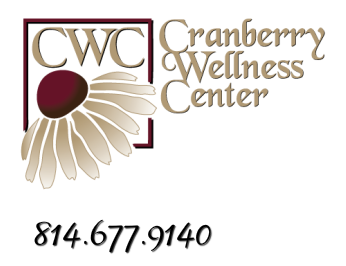 My testing at the Cranberry Wellness Center got better and better. I started feeling much better, looking better, and just being able to do more made me feel more productive. I just finished painting the whole inside walls and ceiling of my house. Something I could never had done years ago. All in all I feel 150% better and feel I function much better day by day. Calvin and his wife and the office girls have been great with me. You're welcome to call me if I can give you my information. I THANK MY HUSBAND FOR GETTING BIT FROM THE TICK! !